Lots of not-so-good news came out to the market since last Tuesday, so mortgage rate averages had quite a bit of soil and fertilizer to move around in going into the second half of the week of June 7. The other areas of the market drooped noticeably among rumors of a recovery hitting delays or a slowdown, and the private opinion on Friday’s job markets were released, marking a less-than-stellar economic performance as well. In terms of rate averages, however, most people initiating new applications are now seeing above 4 percent on the 30-year fixed bellwether average. Those lucky enough to see a rate below 4 percent are paying for it through points funded up front at the loan initiation. For the most part, most market watchers have ignored Thursday and are looking forward to Friday’s government job report to confirm what is already known. The steam is coming out of the sails in the recovery. ADP, a large private-side payroll processor reported independently that payroll adds dropped to 135,000 this quarter versus 200,000 the previous time period, signaling a drop in hiring. An 11.5 percent drop in actual mortgages processed last week didn’t help matters either with regards to those expecting new money to begin moving around. Much of the drop is attributed to the rise in rates breaking the 4 percent mark. In short, the rate averages may see some retraction if the market needs to cool itself and get businesses and people spending again. As a result, the 30-year fixed rate average is still 4.1 percent for most, and the 15-year counterpart is a point lower at 3.125 percent. 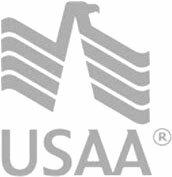 The FHA/Veteran’s Assistance remains favorable at 3.25 to 3.75 percent. And the 5-year adjustable rate mortgage average still sits between 2.625 and 3.25 percent.